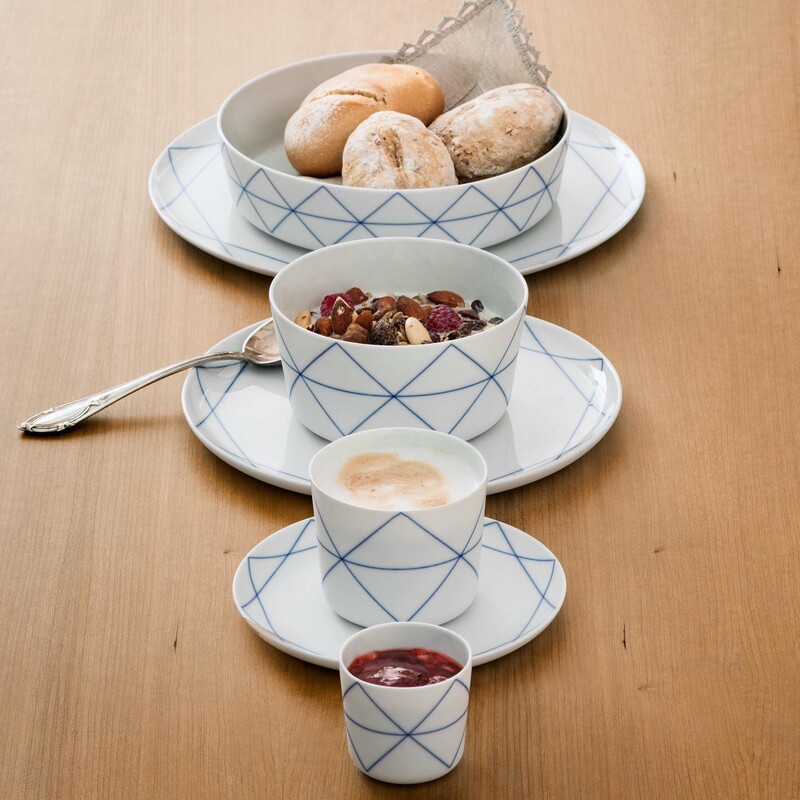 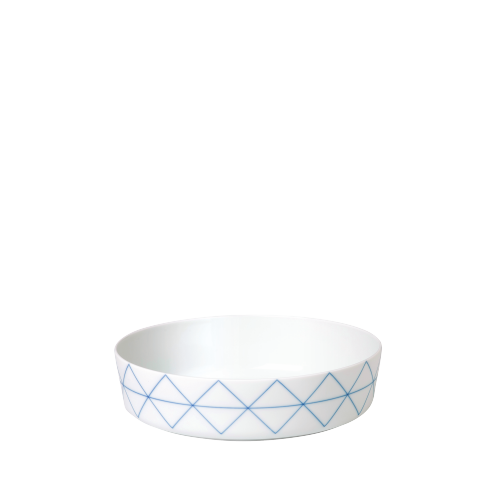 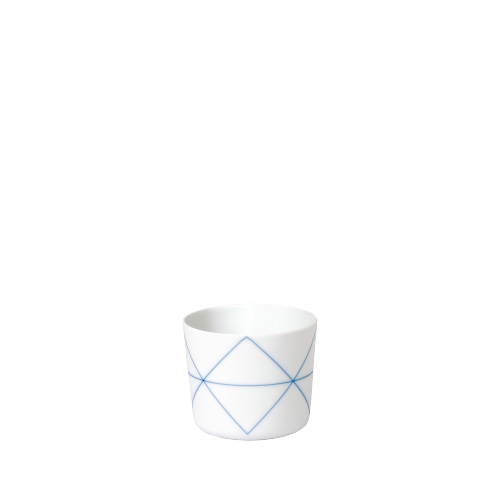 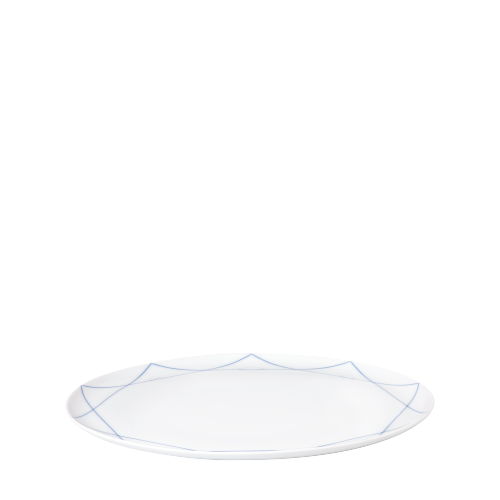 GEOMETRIC BLUE reflects the straight-lined and precision of this dining service with a cobalt-blue pattern. 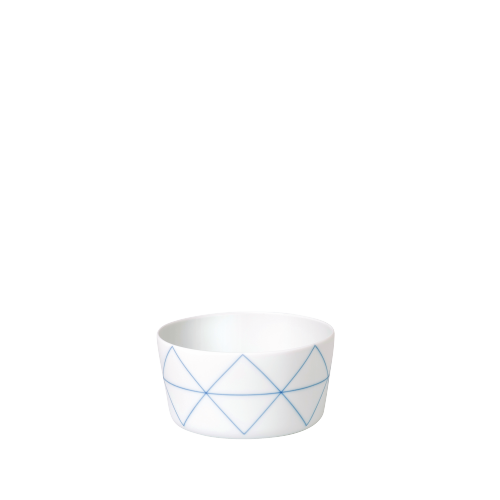 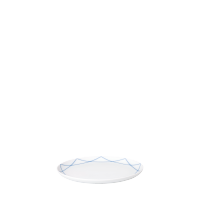 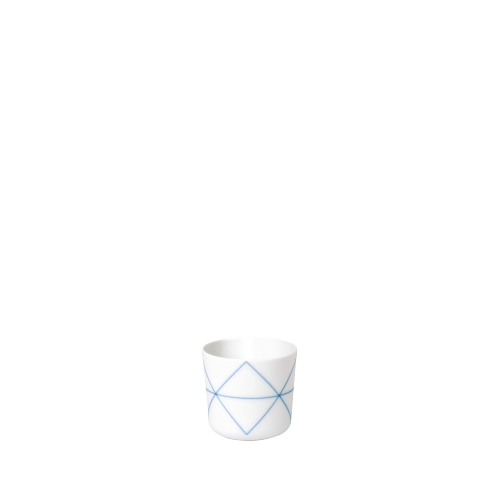 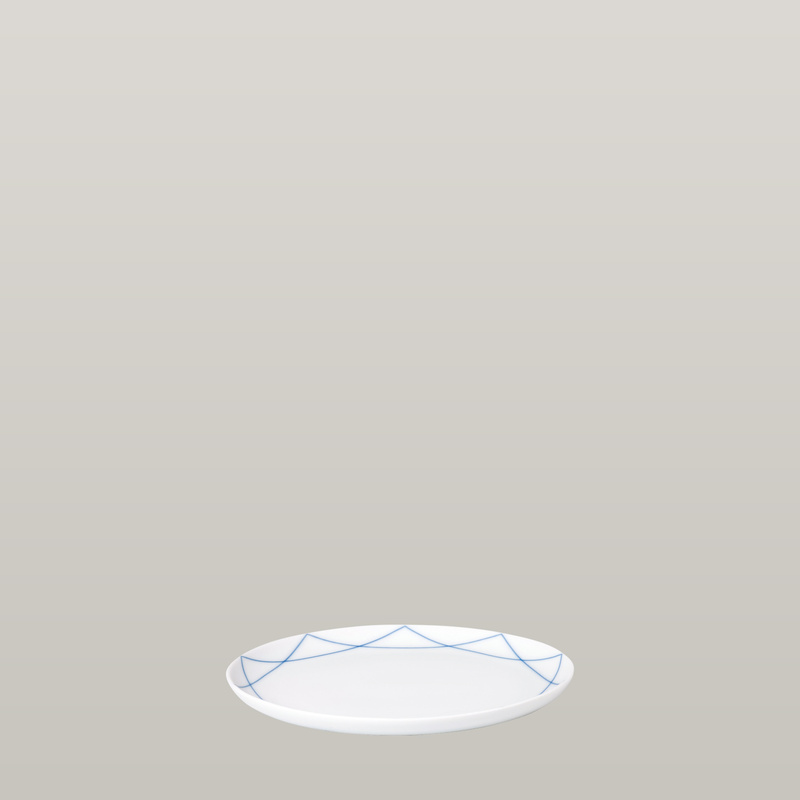 The porcelain features a satin-matt, powdery surface on the outside. 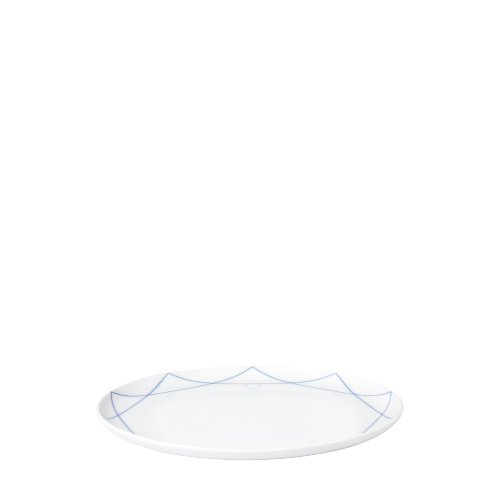 Simple, beautiful and carefree – the SEVEN dining service encompasses just seven different pieces, each of which exudes a gentle lightness thanks to their pure, archetypical forms. 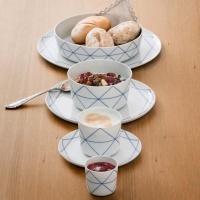 At the same time, each product can be virtually used in any number of different ways and combinations.